Establishing Maison book girl as the forefront of a UK-based J-Pop label was inspiring news when it was first announced. Now in the process of doing a swift UK tour, the 4-piece outfit arrived in London for a live performance. 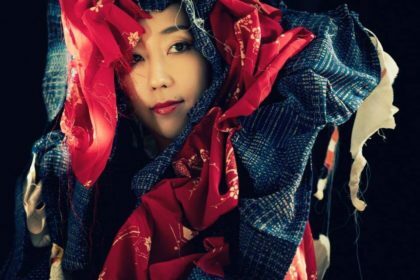 Interestingly, this gig is dropped in the middle of a very busy time for J-Pop acts in the UK. 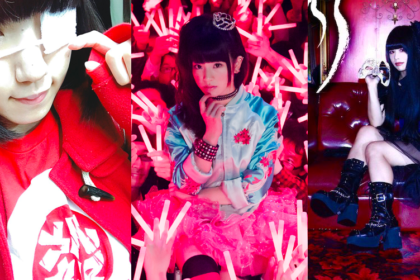 With Kyary Pamyu Pamyu performing at Koko tomorrow and Necronomidol due to hit the UK in June, it’s a very good time for British J-Pop fans. Outside of the idol pop antics, this weekend is also busy for other reasons. With a Royal Wedding in action and also a major football match underway, London is a hectic place today. Kicking things off is support act Flirting who present serviceable indie-rock fare that’s not too shabby (In fact it’s only the somewhat muddy sound mix that lets down proceedings). They’re an odd choice perhaps as support for an idol outfit, but as domestic idol acts are so thin on the ground, it’s always going to be tough finding a complimentary support act. 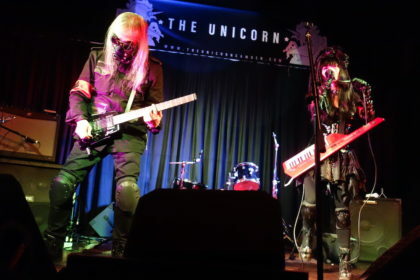 The band are nonetheless engaging and there’s an energy to a lot of the tunes with a fuzzy guitar appeal that bring to mind at times the likes of My Bloody Valentine. Between stage performances, there’s an eclectic DJ setlist of tunes that sees KPP rubbing shoulders with YMO. 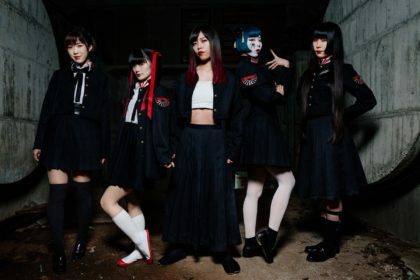 There’s perhaps a missed opportunity to slot in some BiS – particularly with Megumi Koshouji forming part of Maison book girl, but there’s still a few winners in the mix. Meanwhile, Maison book girl themselves enter the stage in pretty much the same way that their set is going to proceed. Frenetic handicapping announces the intro to ‘Bath room’ as the 4 members clap along and proceed to engage in an energetic dance routine. There’s a more organic feel to MBG’s material than their contemporaries, but it feels fresh and is more dynamic than you might expect. Strident rhythms and unusual time signatures compete for attention across a number of tightly-drawn tunes. It’s a combination which MBG’s choreography attempts to emulate in a visual manner. As a result, the members pirouette across the stage and engage in percussive slaps against their extremities. Meanwhile, the vocal duties pass back and forth between all 4 of them in a dizzying momentum. All of the members offer up an energy that seems to leak into the audience. A bespectacled Rin shrugs off a noticeable size differential and adopts a series of power moves, while Yui breathes an uncanny confidence in her movements. Elsewhere, Aoi is just as adept at holding her own while Megumi’s striking mop of white hair marks her out from her team members. A short break in proceedings offers Megumi an opportunity to present a brief MC segment in some halting English, which is a just a momentary pause before the outfit dial it back up again. In fact, the gaps between songs are so brief that it seems surprising that these women can keep it going for so long. It’s clear that a lot of ground work (and practice hours) have gone into perfecting this dancing. From stage-front, it looks like an exhausting routine of super-complex moves that would have Perfume in tangles. Many idol performances have to juggle this exhausting dance routine with live vocals. It’s a combination that can trip up even the most well known idol acts (there’s some unflattering live footage of Momoiro Clover Z struggling with the vocals against an energy-sapping dance routine). 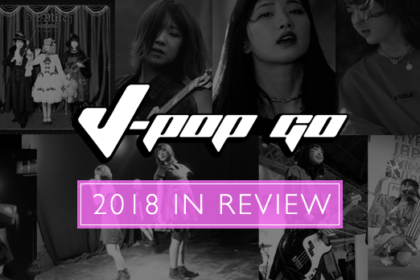 While the complexities of various idol groups is a matter for a separate discussion perhaps, it’s a testament to MBG that their stage performance comes off as flawless. A percussive ‘Faithlessness’ presents a particular highlight in the middle of the busy stage performance, while ‘Rooms’ offers up brief musical pauses with the stage going dark at specific intervals. Following this, there’s a brief respite which allows Megumi to do another MC segment (“London, I love you!”). Then the set is closed with a particularly frenzied ‘Karama’ (also their UK debut single). At the end, Maison book girl’s members look absolutely exhausted and stride off stage left to rapturous applause by an enthusiastic audience. Calls for one more song sadly go unreciprocated, yet despite their obvious exhaustion, the members of MBG pop up shortly after to offer their services for some cheki sessions. 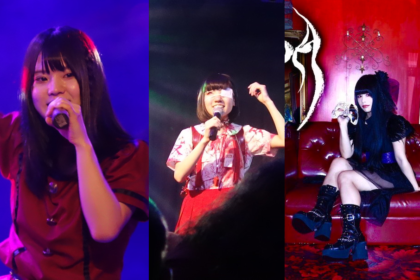 Maison book girl appear to have made an impression via their UK live outings (an appearance at Brighton’s The Great Escape prior to London appears to have been equally well received judging by reports). Whether that momentum can be maintained – and if it paves the way for more idol acts to go global – remains to be seen. ‘Karma/Bath Room – UK Version’ Double A-Side released 18th May 2018 via Read The Air Records.